If you aren't allowed to do it outside of Otakuthon, it isn't allowed at Otakuthon. Otakuthon strives to create an environment which caters to the anime/cosplay/gaming community culture, but would like to remind attendees that they are still expected to be law abiding and responsible. Attendees who violate these rules may be subject to expulsion from Otakuthon without refund, and may be banned from attending all Otakuthon events in subsequent years. All attendees must conduct themselves with proper decorum. Attendees must behave respectfully towards individuals from other groups attending events being held at the Palais des congrès as well as Otakuthon staff and venue representatives. Attendees acting disrespectfully or disruptively on the site of the convention or any other area of the Palais des congrès may be expelled from the Otakuthon event by venue security. Physical violence against staff or venue personnel will not be tolerated and will result in immediate expulsion and permanent ban from the event. Any activities deemed to be nuisances to Otakuthon or the venue, including but not limited to excessive noise or behaviour considered generally disruptive, dangerous, or damaging, will result in expulsion from the venue and the event by security and may result in further civil and criminal liability. Laser pointers, laser-aiming devices, or similar devices, may not be used in public, unless you are officially sanctioned to lead or present an Otakuthon seminar, workshop, display, or other Otakuthon-sanctioned event in which a laser is needed. In the interest of respecting the rights of people who want to be left alone, the following behaviours are considered unacceptable without prior consent of the recipient: hugging, glomping, back-slapping, kissing or other unwanted physical contact. This also includes unwanted advances or other similar forms of behaviour considered to be harassment. Badges must be worn, visible and accessible at all times. Badges should be positioned forward-facing around chest height. If the badge cannot be displayed at chest height due to costume restrictions or other issues, please make sure to display it as prominently and visibly as possible. Cosplayers may temporarily conceal them for the purpose of photos, but must keep their badge visible for the remainder of the time. Attendees who do not have their badges properly displayed may be refused access to Otakuthon activities and/or be escorted off site. All participants must carry a picture ID at all times and must produce it when requested by Otakuthon staff or venue security. Participants who have lost their badge must report the loss as soon as possible to the registration desk. Lost badges should be returned to the registration desk. If your lost badge is recovered, you may pick it up at the registration desk upon presentation of photo ID. The sale or solicitation of any type of goods or services on Otakuthon premises without prior permission and arrangements with Otakuthon staff is strictly prohibited. This rule will be strictly enforced. Violation will result in expulsion from Otakuthon and possibly the venue by Otakuthon staff and/or venue security. This rule applies universally to all guests, dealers, and attendees. Otakuthon-approved events with permission to sell goods may sell them in their designated event room only. No food or drinks may be sold on Otakuthon premises without prior authorization. Capital Traiteur is the exclusive caterer and food provider for the Palais des congrès. No sharp or metal weapons may be sold on the premises without the express permission of the organizers. All weapons must be lawful and conform to Otakuthon's weapons policy. Sharp or metal weapons may only be sold if they are immediately sealed in the appropriate carrying container. Any weapons intended to be used as props must be peace bonded immediately by Otakuthon's weapons master. Otakuthon, its organizers and the venue reserve the right to restrict any participant from selling weapons. Unlicensed reproductions of copyrighted works (ie: "bootlegs", "fansubs", "Hong Kong versions", etc.) may not be offered for sale. This includes video tapes, CDs, DVDs, Blu-rays, computer software, collectibles, apparel or printed artwork not produced under license by the original copyright holder, or any other unlawful reproduction of works. If it is not visibly authentic, don't bring it. The sale and display of explicit material to minors is strictly forbidden. Sellers may have a sign indicating adult materials are available, but they must be kept out of sight and restricted from minors. Additional lighting and sound equipment is permitted in the Exhibition Hall on the condition that it does not interfere with other participants. Any devices that produce noise or other disruption, including megaphones, sirens, strobe lights and horns are prohibited. Yelling, hawking or other aggressive solicitation of customers is also prohibited. Sellers are responsible for collection of taxes and acquisition of any applicable permits and licenses. Only original, personal fan works created by the selling artist may be sold in the Artists' Area. The sale of commercial goods such as video tapes, CDs, DVDs, Blu-rays, posters, scrolls, pens, etc., is prohibited unless you or the group you represent are the copyright owner or licensors of said works. The advertising of any such restricted goods or services is also forbidden. Violation will lead to expulsion from the Artists' Area. All exhibitors must obey the policies as outlined in their respective Otakuthon exhibitor kit. The Palais des congrès is partially rented for use by Otakuthon. Although parts of the venue have been reserved for Otakuthon use, it is a public space and is subject to general public safety laws and regulations. All exits, stairways, escalators and corridors must be kept open and free to circulation at all times; Otakuthon or venue staff will request that anyone blocking free circulation move or otherwise disperse. Stairways, escalators and elevators should also be used only for their intended purpose, and any horseplay or other unsafe activity is not permitted. No live animals (except those with a specific legal status such as guide dogs) are allowed on site. It is forbidden to touch Otakuthon equipment, including AV equipment, consoles, computers, etc, unless asked to by Otakuthon staff. It is forbidden to touch, stick things to, write on or otherwise tamper with Otakuthon signage. Displaying posters or otherwise affixing objects on venue bulletin boards, walls or doors is strictly forbidden and may result in expulsion from Otakuthon premises by venue security. If you have special signage or other requirements, please speak to the Otakuthon Information Desk. The use of any type of roller blades, roller skates, skateboards, hoverboards or any other similar accessory in the venue is forbidden. Drones are not permitted to be used on the premises. Costumes that are deemed to be indecently revealing (the "no costume is not a costume" principle), as well as costumes or props that are deemed to be offensive or otherwise unacceptable by Otakuthon community standards are prohibited. An attendee who is wearing a costume or carrying a prop that does not meet these requirements may be asked to change into either street clothes or another costume. Tip: Always ask for permission before photographing or video recording anyone. Photography and recordings may be permitted during workshops, panels, guest sessions and in the Artists' Area at the discretion of the host(s)/artists involved. If you are unsure whether photography or videography are allowed during a particular event or in a particular area, ASK PERMISSION FROM STAFF FIRST. Flash photography will not be allowed during the masquerade and the World Cosplay Summit for safety reasons. Photography of merchandise in the Dealers' Area is prohibited. Otakuthon reserves the right to prohibit photography and/or videotaping of any event or area. Otakuthon is an alcohol, drug and smoking-free event, and the venue is a smoke-free establishment. While we do not restrict what people do outside Otakuthon area, any person found intoxicated on the premises will be asked to leave. NOTE: The use of electronic cigarettes ("vaping") is restricted in the same way as regular cigarettes and may not be used on site. Bringing your own food and beverages is permitted, but the consumption of food or beverages is forbidden in all function rooms (e.g. video rooms, panels, contest rooms, etc. ), all gaming areas as well as events rooms. Only water bottles will be accepted in these rooms. It is strongly suggested that the Cosplay Cafe (on the 7th floor) and the Chibi Cafe (in the Exhibition Hall) are to be used for your eating and drinking needs. A bag check will be available to attendees. To improve service and efficiency, the Bag Check is operated by the Palais des congrès. The Bag Check is located on the 2nd floor by the Viger Hall entrance of the Palais, near the Palais des congrès Information Desk. While the bag check will be monitored, Otakuthon and the Palais des congres will not be held responsible for any lost, stolen or damaged items. All large props and all props resembling weapons must be approved by the Otakuthon Weapons Master prior to being admitted to event areas. The Weapons Master will label and/or peace bond the weapons, if necessary. Please see the official Weapons And Large Props Policy on the Otakuthon website for more details. You are responsible for your conduct and handling of props. Otakuthon and the venue will not be held responsible for any damages resulting from an attendee's props or improper usage or handling of same, and attendees will indemnify, hold and save harmless Otakuthon and the venue for any such damages. 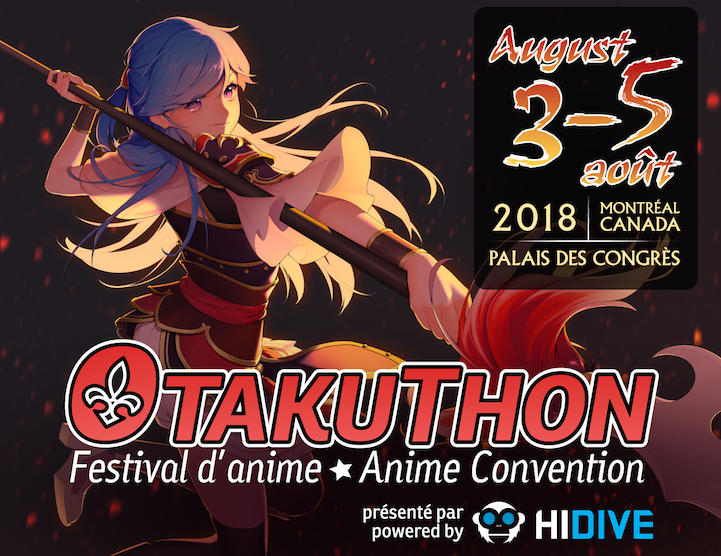 By attending Otakuthon, you grant permission to Otakuthon to publish, electronically or in print, your name and photograph, as well as the name and logo of your company, group or other organization (e.g. cosplay circle, team, club, etc.) for the purpose of promotion, documentation and/or record-keeping. The liability to any attendee by Otakuthon for any damage or loss suffered at or caused by Otakuthon, its staff or assigns, shall not exceed the registration fees paid by that attendee. 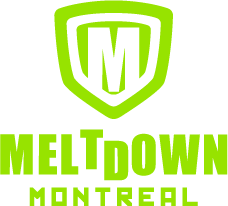 Each attendee agrees to indemnify, hold and save harmless Otakuthon and its staff or assigns against any damages or losses suffered by third persons for which the attendee is responsible to any extent.